Wearable tech is all the rage right now and the Coros Omni smart cycling helmet is a prime example that the cycling world is not immune to this trend. As its title suggests, the Coros Omni is a cycling helmet packed with techy features that makes it smarter than its analog brethren. So what does it take for a helmet to apparently get the most enjoyment, freedom, and awareness out of a ride while enhancing safety and performance? 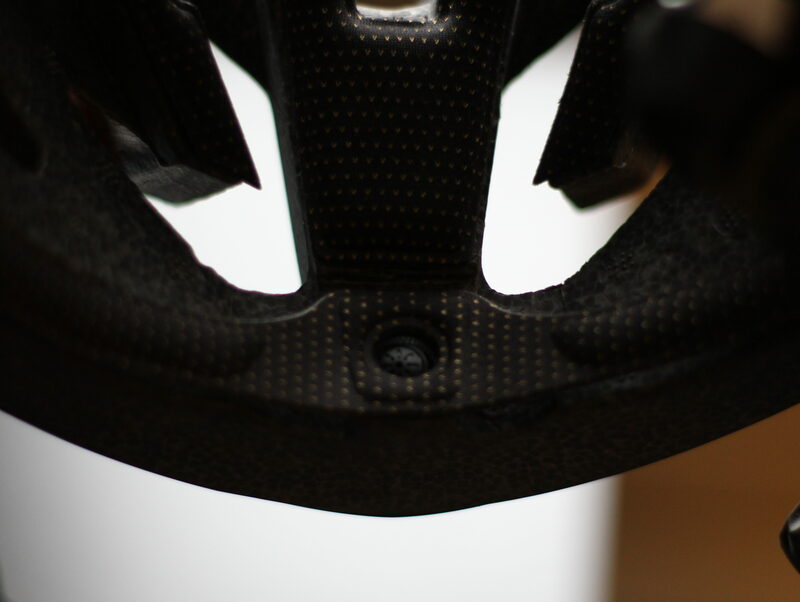 When going through the list of features of the Coros Omni smart cycling helmet, I don’t see any features that I would describe as performance enhancing when compared to other helmets. 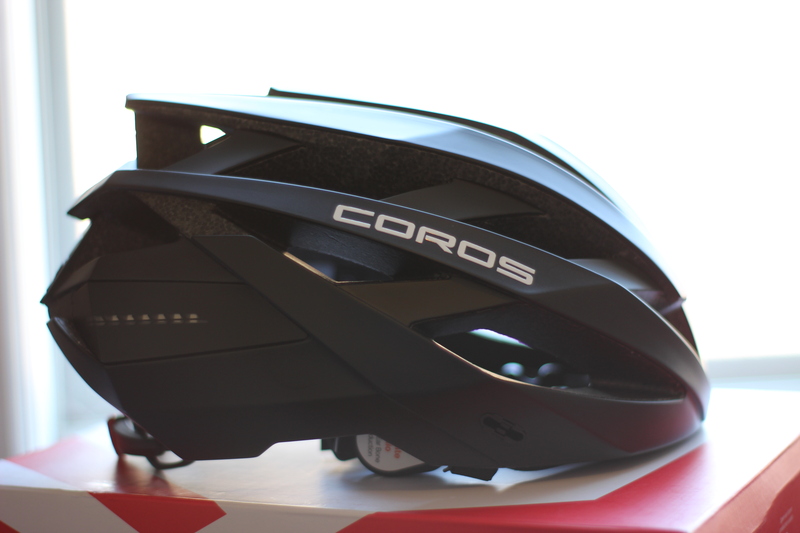 Coros even goes as far to describe the Omni as a “performance multipurpose aerodynamic helmet with 18 vent airflow cooling design.” With 18 vents, I don’t see the Coros Omni winning any wind tunnel tests. I think that’s enough of picking on the marketing jargon used by Coros to describe the Omni. Let’s focus on what the Coros Omni actually has and that is a bunch of safety enhancing features. The most noticeable feature, and the one you will probably use the most, of the Coros Omni are the open ear bone conduction audio pods that are attached to the straps. Designed to transmit sound via vibrations through your bones, you can listen to music, make phone calls, receive turn-by-turn directions, and data updates while keeping your ears clear for full environment awareness. 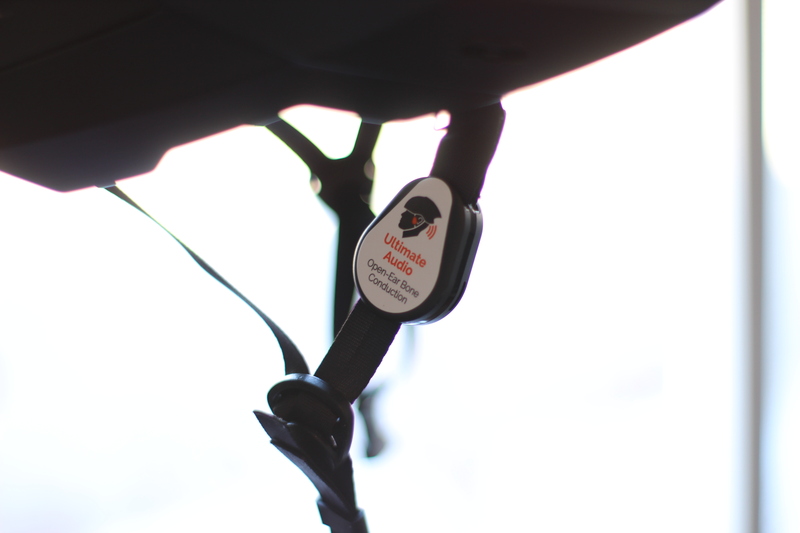 In order to make receiving phone calls possible, the Coros Omni has a microphone hidden from the wind at the front of the helmet. And so that you don’t have to take your hands of the handlebars and play with your phone, the Coros Omni comes with a handlebar mounted remount that allows you to accepted or decline calls, pause or play music, change track, adjust volume, change the light settings, and receive ride data information. To use these features, you need to connect the Coros Omni to your phone via Bluetooth. Once connected to your phone, you can use your favorite music service to listen to your favorite tunes as well as receive phone calls. You will need to download the Coros app to harness the other features. The app will track your ride data and upload it to sites like Strava, and allows you to input routes in order to receive turn-by-turn notifications. 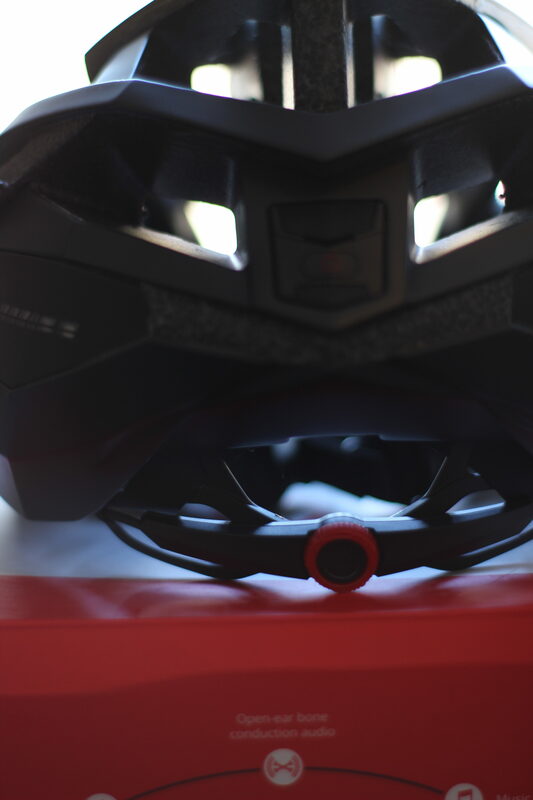 The Coros Omni has a pair of built in LED light strips on the back of the helmet to provide maximum visibility. There are three settings for the lights: On, Off, and Auto. In Auto, the lights will automatically come on depending on lighting conditions. The final safety feature of the Coros Omni is that it includes the G-Sensor emergency alert system. If the helmet senses an impact greater than 1G, the Coros app will automatically send an SMS text with GPS location to your emergency contact (which can be input in the app). Despite containing all this safety enhancing tech, the Coros Omni still functions as a helemt, is water, splash, and sweat resistant, and available in 4 colours. 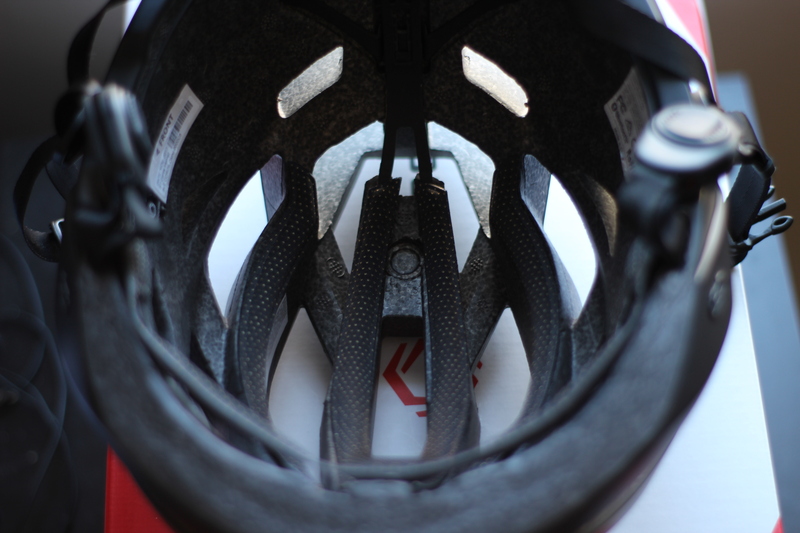 So how did all the fancy features of the Coros Omni smart cycling helmet work out in reality? 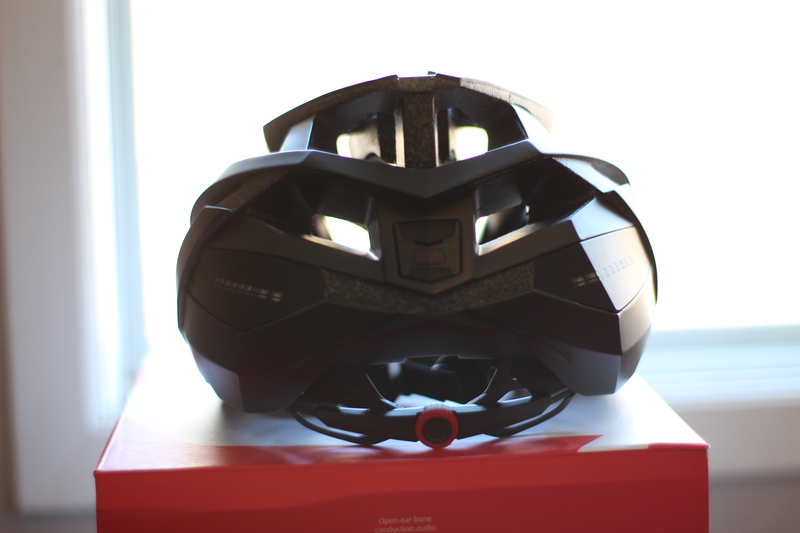 As a helmet, I was pleasantly surprised by the Coros Omni. I had expected Coros to really cut corners when it came to making the helmet itself in order to be keep the price down while still fitting all the smart features in. I wouldn’t describe it as a premium product and it definitely comes with a weight penalty, but it is definitely comparative to other companies’ mid-range offerings. The fit of the Coros Omni worked well with my head and the ratcheting retention system felt solid and had small enough increments to really let you dial in the fit. The straps also felt good, they were easy to adjust and I had not issues with slipping. The extra length was cleanly managed so that it didn’t flap around and smack you in the face. And I’m sure the 18 vent design of the Coros Omni would provide plenty of cooling in summer cause my head felt plenty cold on my early spring commutes. As we dive into the performance of the smart features of the Coros Omni, the first thing I want to mention is that I couldn’t tell if the bone conduction pods actually worked (that they were conduction audio through my bones) or if they are just little speakers sitting in front of your ears. In order to actually getting the pods to stay in contact with your jaw bone, the straps would have to be uncomfortably tight. Also, the audio is probably want one would expect, not studio quality for sure, and things got quite rattly when the bass kicked in. 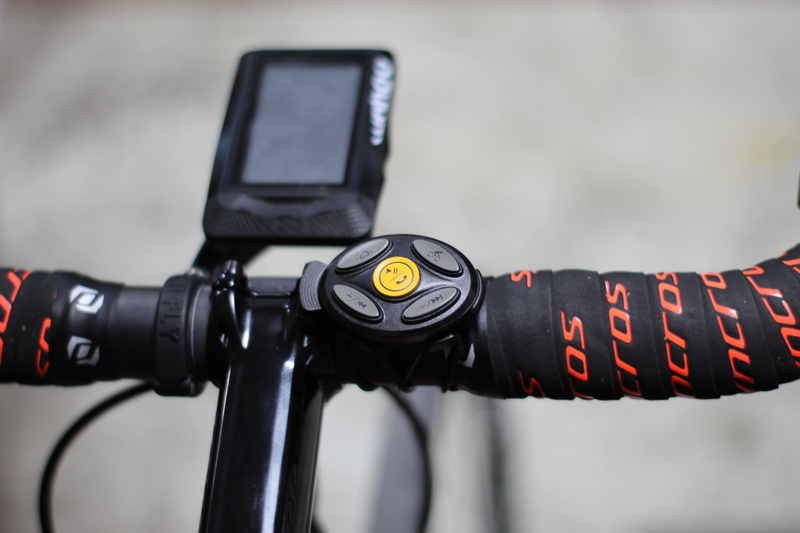 The Coros Omni’s handlebar remote could also be rather finicky thanks to how functions were paired on the buttons. “Volume Down” and “Back Track” are paired on the same button with the volume being controlled by holding the button. I found that if I held the button to reduce the volume, it would “mute” all audio and in order to get the sound back, you needed to turn the Coros Omni off and back on. The volume up button had no affect. If you were to stick with multi-function buttons on the Coros Omni’s remote, I think reversing the functions on the volume and change track buttons. To me, it is more logical to click once to adjust the volume so you can increase/decrease incrementally. The sound quality of the built in microphone of the Coros Omni was also surprisingly impressive. I had expected it to sound like talking on your phone in the car with your windows down but there was no wind noise and voices were clear without yelling. Now I wonder if you could make out going calls hands free with programs like Siri? In general, the Coros Omni features a number of very handy safety enhancing features. The crash sensor and automated message is a great idea particularly for those who spend a lot of time riding by themselves. And of course anything that enhances visibility, such as the LEDs on the back of the Coros Omni, is a good idea. I think it would be great if Coros added a couple lights to the front of the helmet and maybe the rear lights could be used as turn signals controlled by the remote (would drivers actually pay attention to that?). 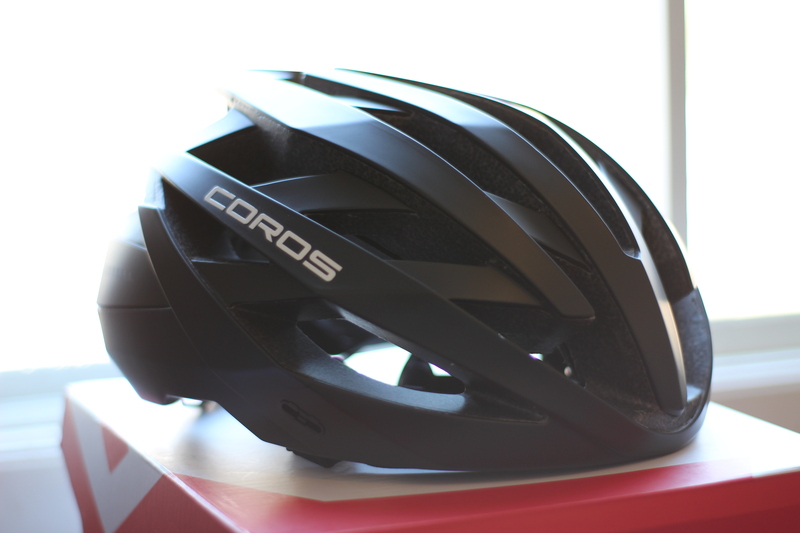 While the Coros Omni might not be the helmet you would choose on race day or show up at the group ride fashion show in, its solid performance and handy safety enhancing feature would make it a good choice for everyday riding, especially for commuters or people who spend a lot of time riding by themselves. The audio quality might not be the best and the remote buttons can be a little finicky at times, but the Coros Omni is a surprisingly solid performing helmet and you have to agree that the safety enhancing features are a good idea which means I can say I would recommend this helmet and I definitely see ways that Coros could continue to improve this product.